New stops means pulling out all the stops – another king size idea from OBB. 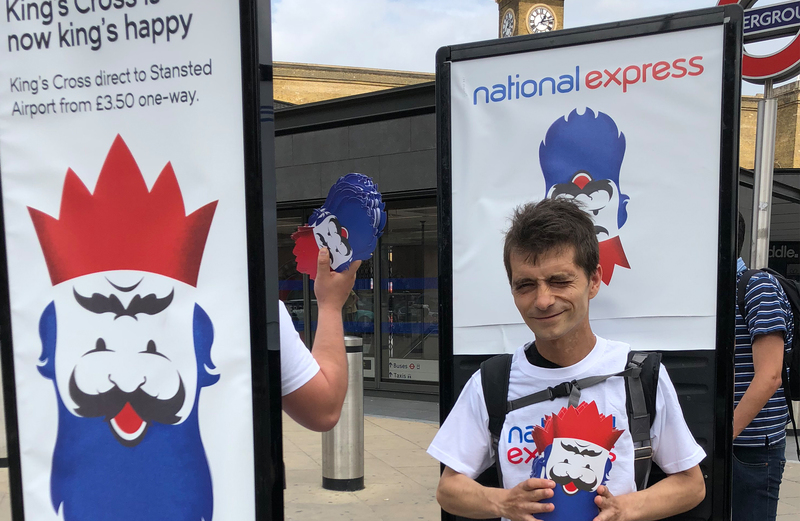 So… National Express wanted to promote extra pick up points on their service to Stansted airport – a key stop being King’s Cross. 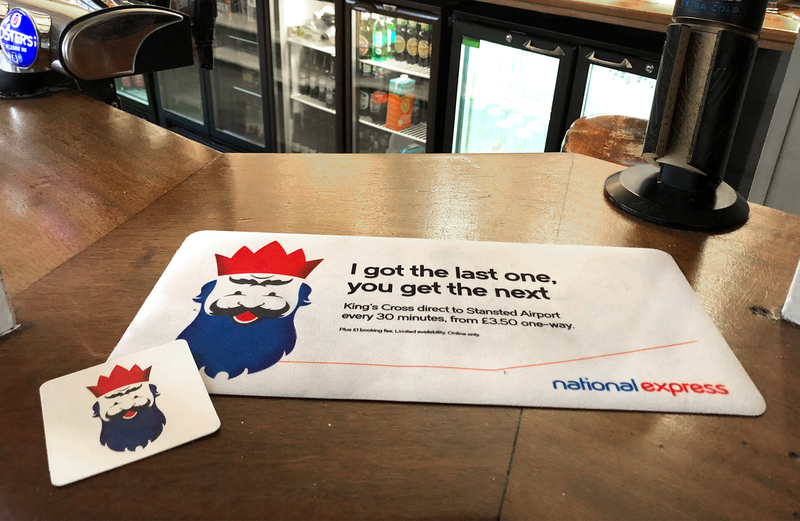 Running as video on social, OOH, interactive hand outs, press, street runners, beer mats, bar runners and coffee cups, the campaign was designed to make a big impact around the King’s Cross immediate area. 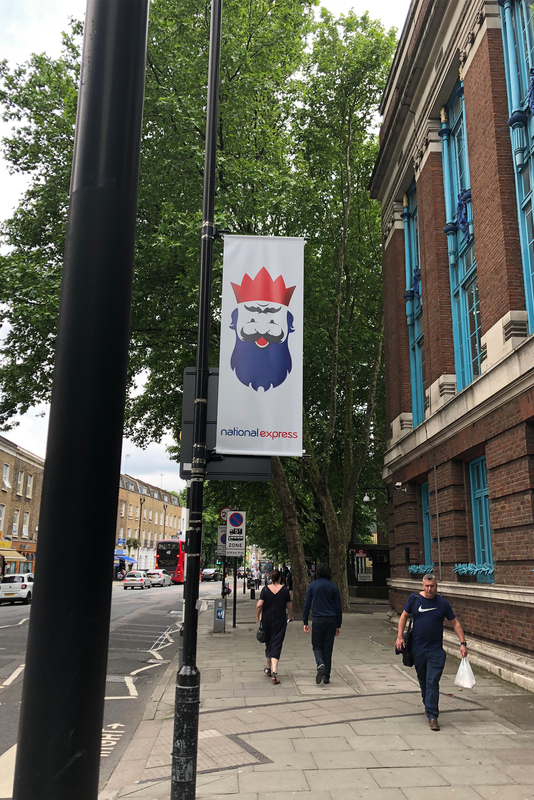 We created our very own flippable King – one side happy, one side sad with the strapline ‘King’s Cross is now King’s Happy’ – a caricature lovingly created (as ever) by Andy Lawson. 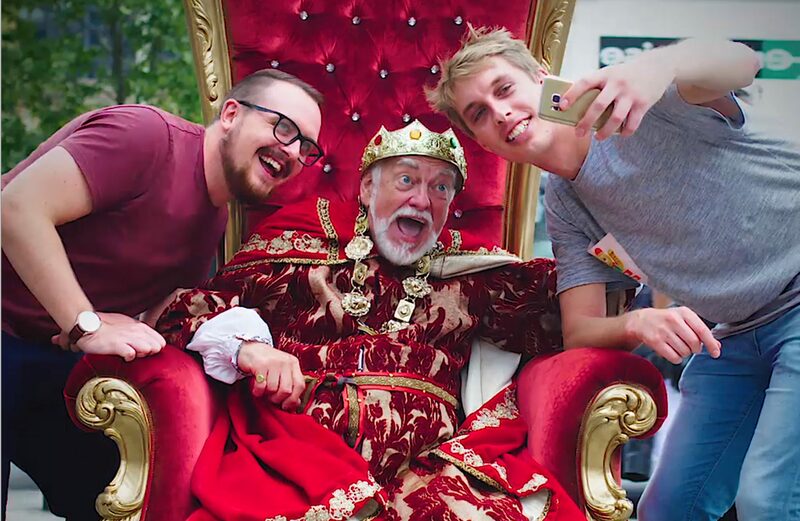 Our king didn’t just live in 2D though, we hired a real life laughing version complete with throne, crown and ermine (fake of course) to reflect just how happy he was at the prospect of a new stop. He also interacted live on twitter where we asked people to post a joke that would make him laugh. We filmed his response and posted back. Results are already stopping the traffic as the A8 route continues to perform way ahead of expectations – so ‘King of the Hill’ you could say. Plastics just won’t go away. Literally.